Brick Mayor John G. Ducey did the honors on cutting the Ribbon on Enable’s new home. Brick – (2/7/19) – Today, Enable, Inc. celebrated the opening of its newest group home with a ribbon cutting ceremony. 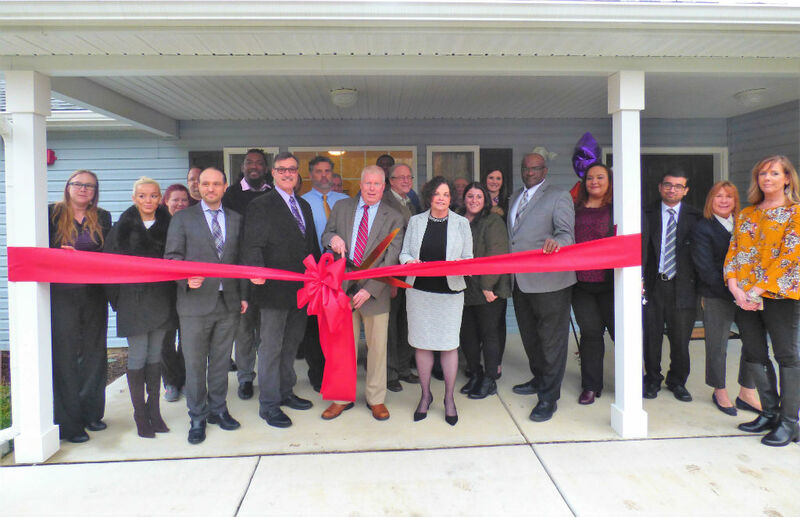 Celebrating 30 years of excellence in providing programs and services for individuals with disabilities, this home, located in Brick Township, marks the organizations 20th community-based group home. The firm of Steven S. Cohen Architects P.C. and the construction company, Walters Homes, were instrumental in designing the home, complete with easy access doors to accommodate hospital beds and equipment. “We must thank the architects, our builders, Homes Now and the Township of Brick for helping this project come to fruition,” continues Coscia. Assisting Coscia in the Ribbon Cutting were the Mayor of Brick, the Honorable John G. Ducey, Brick Councilman Jim Fozman, and Enable Board President, Domenic Sanginiti, Jr., Esq. In addition to residential services, Enable also provides day and in-home support services for adults with intellectual and developmental disabilities, including individuals with Autism Spectrum Disorder (ASD) throughout Central NJ. In 2019, the organization expects to be opening three additional homes. To learn more about Enable, visit www.enablenj.org or follow Enable on Facebook, Twitter and LinkedIn.